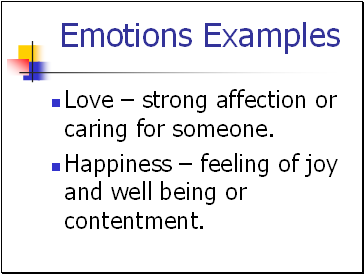 Love – strong affection or caring for someone. 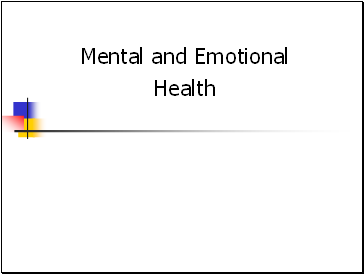 Happiness – feeling of joy and well being or contentment. 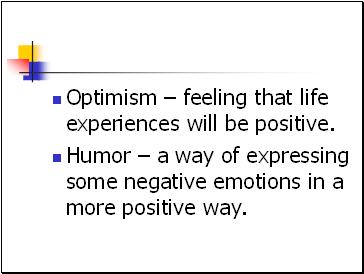 Optimism – feeling that life experiences will be positive. 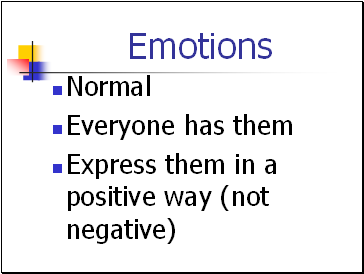 Humor – a way of expressing some negative emotions in a more positive way. 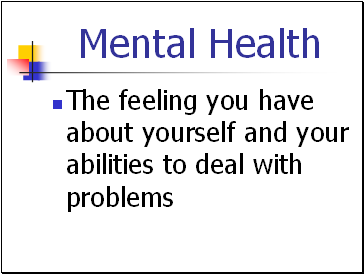 Self talk – saying things to yourself to view the fear more realistically. 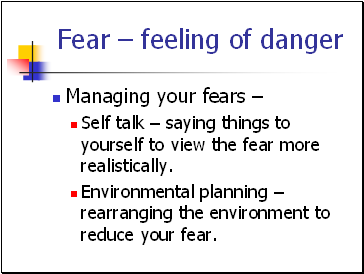 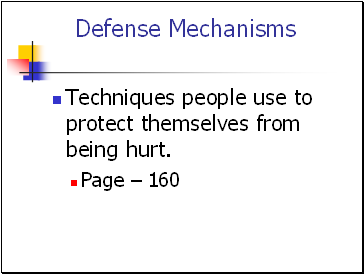 Environmental planning – rearranging the environment to reduce your fear. 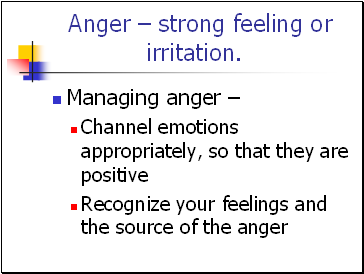 Anger – strong feeling or irritation. 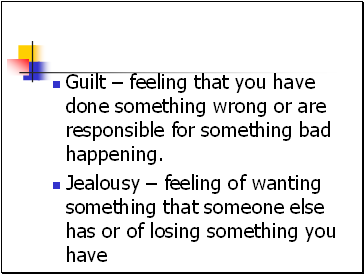 Guilt – feeling that you have done something wrong or are responsible for something bad happening. 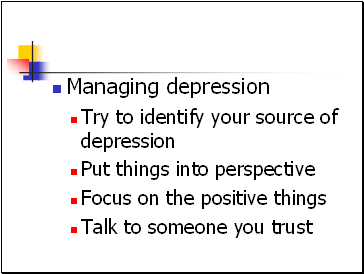 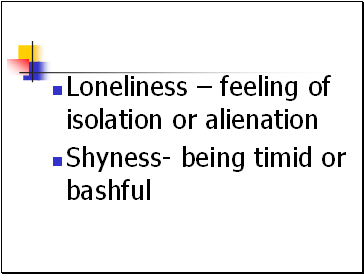 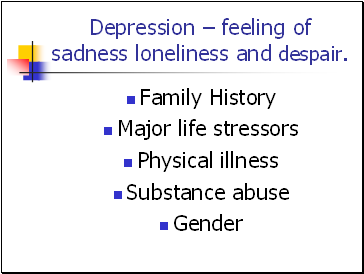 Depression – feeling of sadness loneliness and despair. 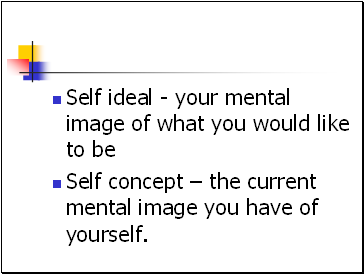 Self concept – the current mental image you have of yourself.